It has been just five months since the two had their first movie team-up in “Diary ng Panget.” On the film, the two had an unconcealed chemistry so afterwards the two had more projects together. Following their first successful team-up, James Reid and Nadine Lustre also known as JaDine, will have a new movie that will surely make you kilig one more time. The love team will be starring in the movie “Talk Back and You’re Dead” together with Joseph Marco. The movie will again be directed by Direct Andoy Ranay same director as of the “Diary ng Panget.” Andoy Ranay states that he will make the film totally different from “Diary ng Panget.” He said the characters here are more mature than the former film. For those who don’t know, “Talk Back and You’re Dead” is the film adaptation of the best selling teen novel of the same name that was originally published on Wattpad by Alesana Marie. Introducing Samantha Perez a.k.a Sam (Nadine Lustre) a rich, high class and perfect student who is friends with the Crazy Trios’ Michie Sta. Maria (Coraleen Waddell ), China Dela Vega (Donnalyn Bartolome ) and Maggie Dela Vega (Rosalie Van Ginkel ). She will find herself falling in love with Timothy Odelle Pendleton a.k.a Top (James Reid) a rich, bad boy, and the leader of the gang Lucky 13, which is a notorious gang of rich kids. Top is friends with Jared Dela Cruz a.k.a Red (Joseph Marco) also a bad boy, a member of Lucky 13 and will compete with Top for the affection of Sam. The three of them will be involved in an exceptional love story that will surely make you kilig. Viva films and Skylight Films proudly bring the bestselling book to the big screen. 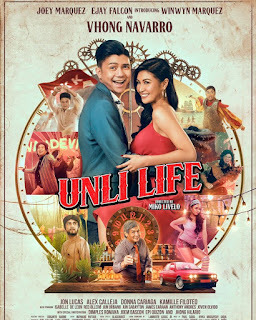 They will be joined by Yassi Pressman, Via Carillo, Aj Mulach, Candy Pangilinan, Bobby Andrews, Cristopher Roxas and Jana Victoria, together with the Lucky 13 members’ Bret Jackson, Arkin Del Rosario, Josh Padilla, Carlo Lazerna, Kiko Ramos, King Certeza, Aki Torio, Cliff Hogan, Billy Villeta, Ryan Kevin and Clark Merced. 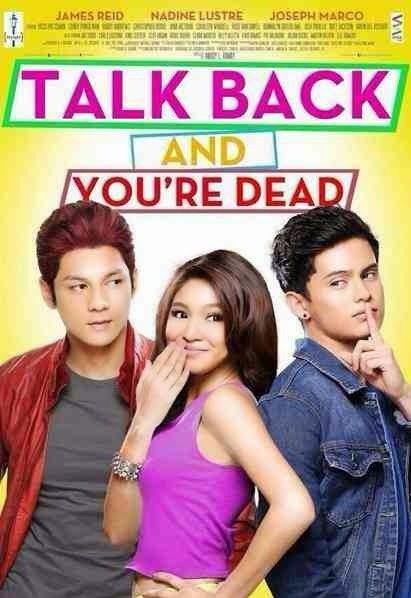 Catch “Talk Back and You’re Dead” on cinemas nationwide on August 20, 2014.